HILLBILLY-RESEARCHER: LONDON 16000 SERIES - A CONUNDRUM! 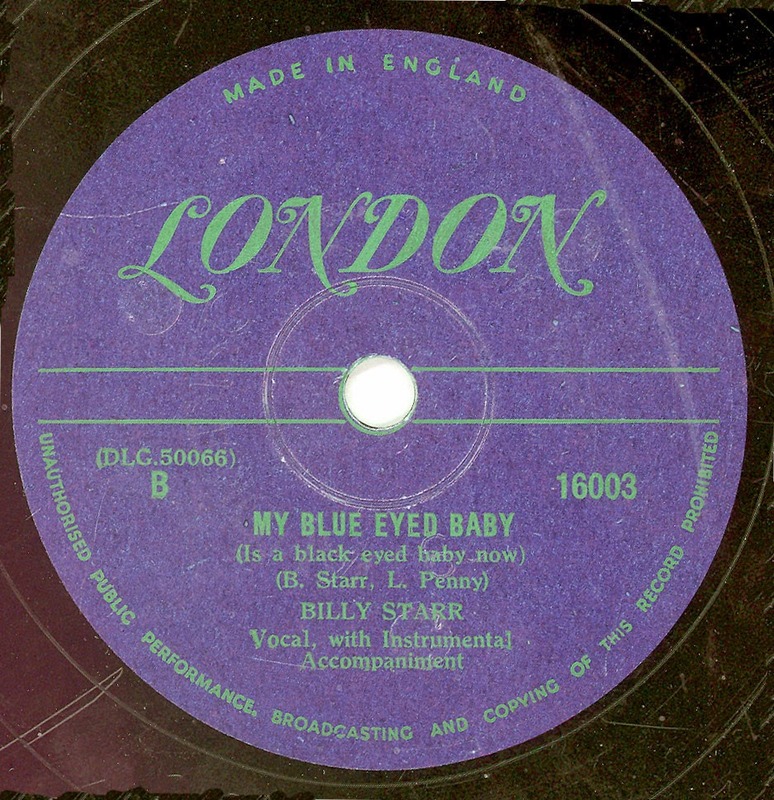 This record is something of a mystery, there is no reference to it ever having been released in England, yet the label clearly states that it was "Made In England" and carries the usual blurb prohibiting public performance, broadcasting, etc. which was, and still is, printed on all UK labels. What compounds the issue further is that around the centre hole there is an embossed note "AUDIODISC - 9294 - NEW YORK - USA". I provisionally thought this was a one off, but I just spotted a copy of LONDON 16028 on ebay which also carries the "Made In England" tag!. Below is a scan of the labels, I have scanned the A side in its original colours, who ever decided to use gold print on green obviously didn't have to read the label. On the B side I have played around with the Hue to get a readable label. I'd love to hear from anyone who can explain this anomaly. 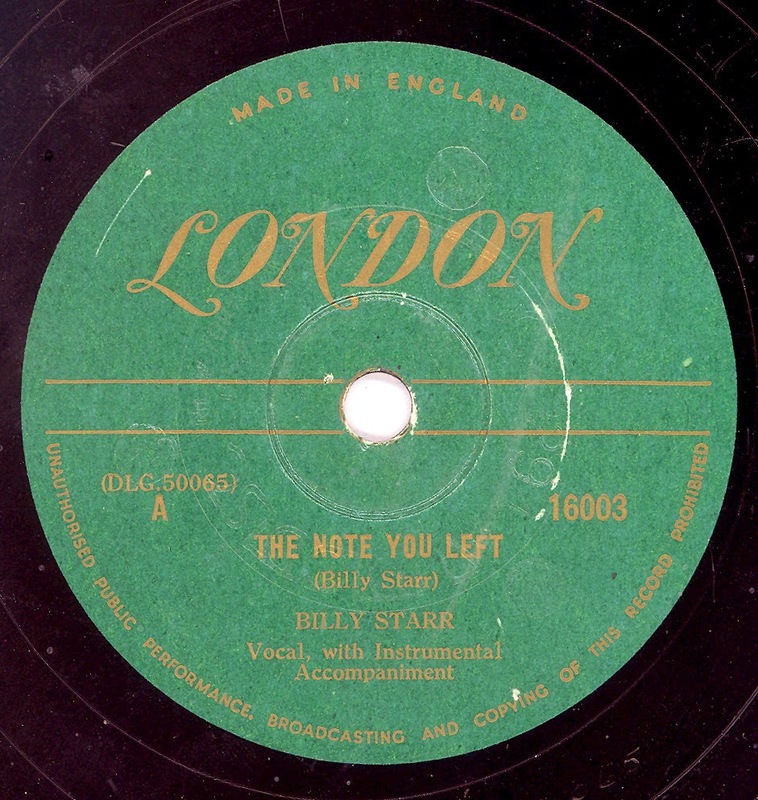 Whilst the lyrical content may have been acceptable in 1950, in today's more enlightened times some may find the lyrics leave a lot to be desired. [IMG]http://i59.tinypic.com/nb8cqv.jpg[/IMG] has made in USA on label! Maybe they sold so many they more pressed in the UK?